We’re pleased to say that we’ve renewed our Railway Industry Supplier Qualification Scheme (RISQS) for 2019. RISQS is the single-entry point for suppliers to the rail industry. 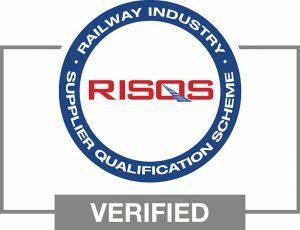 Buyers of products and services throughout the GB rail industry use RISQS as its supplier qualification service. In short RISQS will help UKE to work on projects within the GB rail industry, bringing our highly regarded service and competitive pricing to those working within this rail industry.